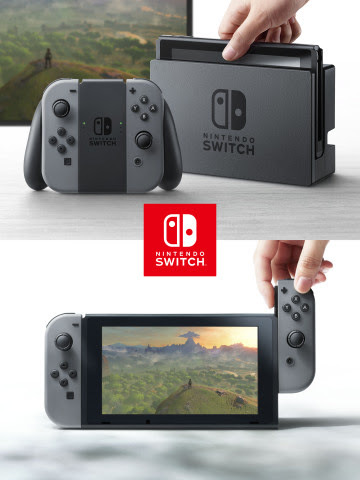 REDMOND, Wash.--(BUSINESS WIRE)-- In an introductory video released today (//www.nintendo.com/switch), Nintendo provided the first glimpse of its new home gaming system and revealed that it is called Nintendo Switch. In addition to providing single and multiplayer thrills at home, the Nintendo Switch system also enables gamers to play the same title wherever, whenever and with whomever they choose. The mobility of a handheld is now added to the power of a home gaming system to enable unprecedented new video game play styles.